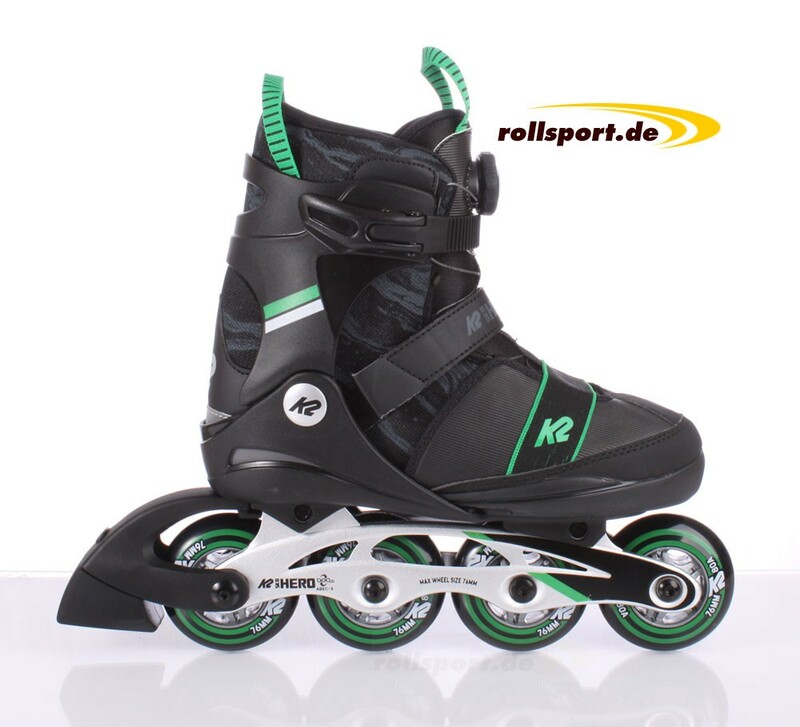 K2 Sk8 Hero Boa Alu - 76mm Kids inline skates with Boa System, Alu frame and Stability Plus Cuff, 5-fold size adjustable. International shipping. 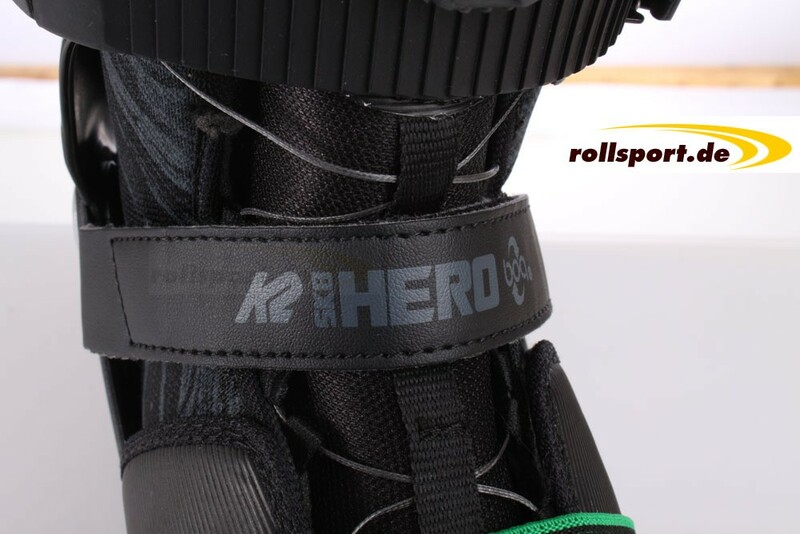 The newest kids inline skate for boys, the K2 Sk8 Hero Boa aluminum is 5 times size adjustable via a lateral push button. 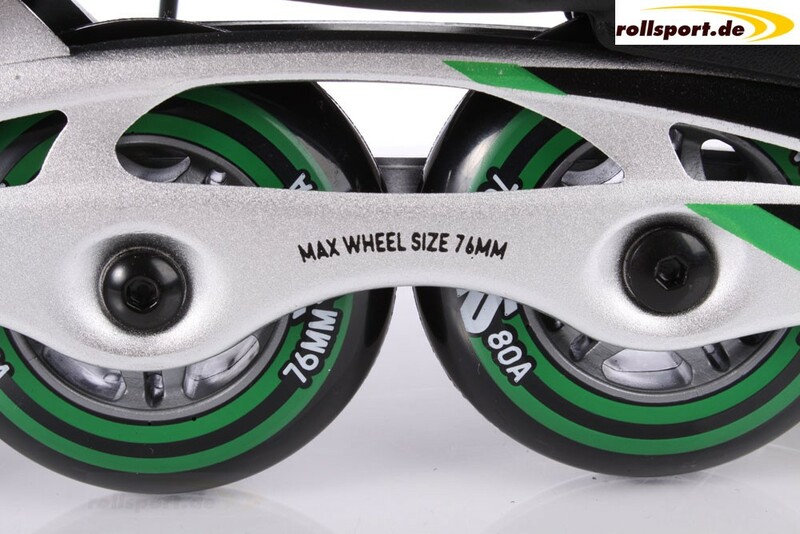 The skate was equipped with an aluminum frame with 4x 76mm / 80a wheels and Abec 5 ball bearings. 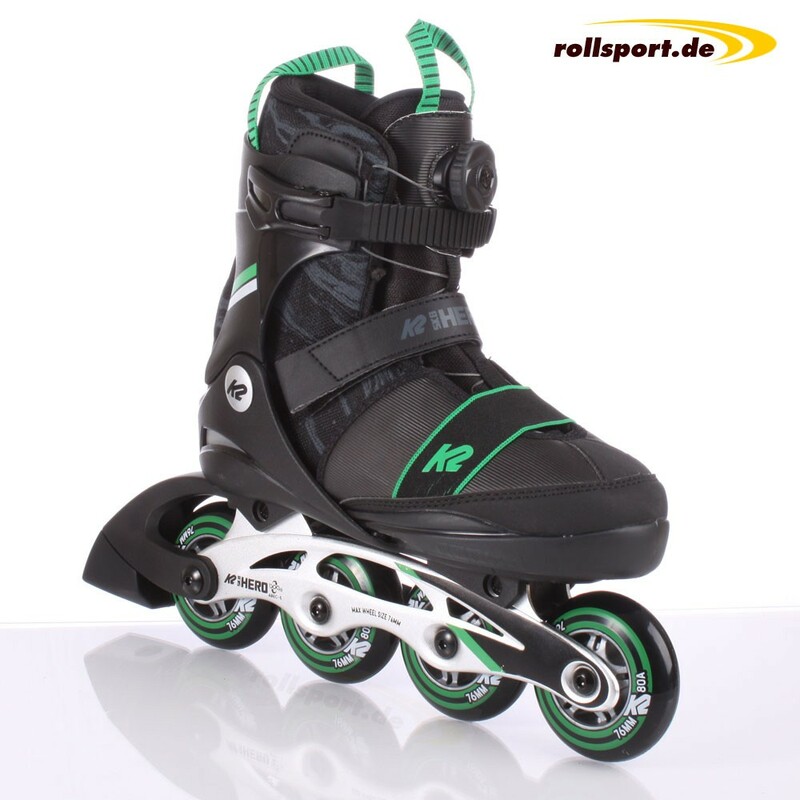 The Boa closure system saves a lot of time and makes it easier for the children to lace up the skates themselves. 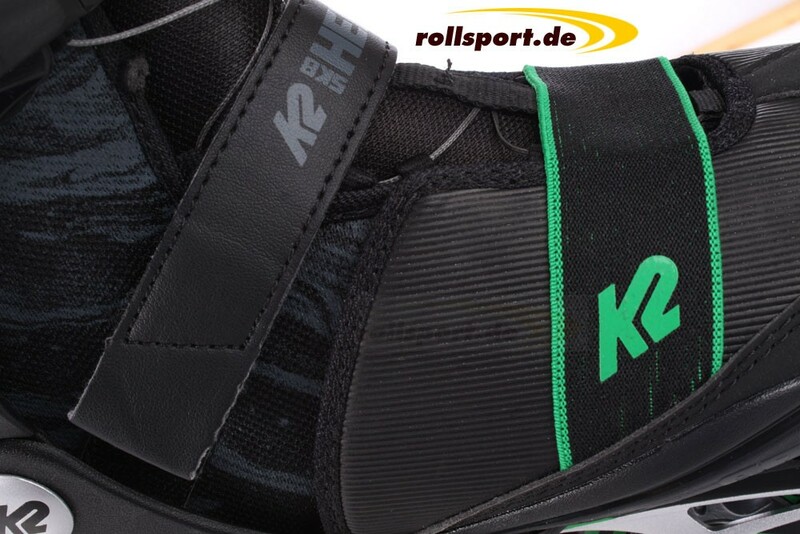 The Stability Plus Cuff provides the necessary lateral support.